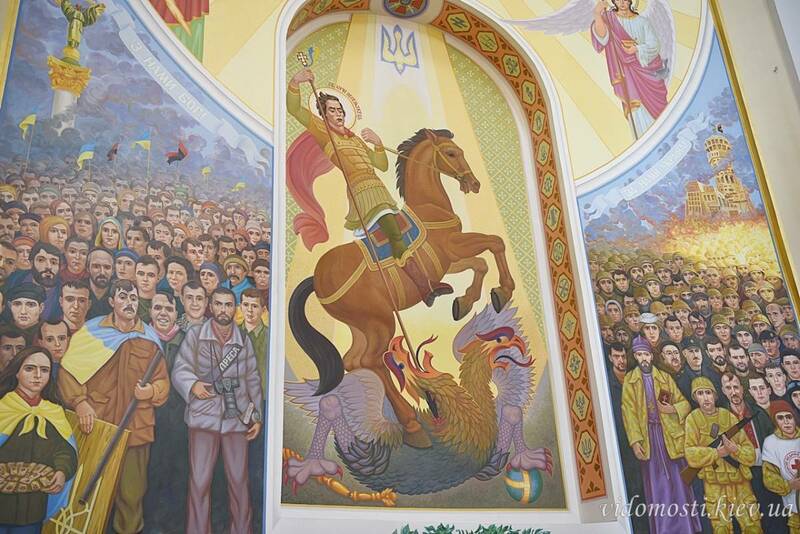 A cathedral in Ukraine now has a sacrilegious icon of St. George slaying a double-headed eagle. Neo-Nazi runes decorate the icon border. Philaret, a schismatic bishop, approves of it. The church also has an icon of Philaret himself. The double-headed eagle is the most recognizable symbol of Orthodox Christianity today (other than the cross). The claws of the eagle hold a cross and an orb, symbolizing peaceful cooperation between the Church and the government. The flag was historically used by the Roman Empire in the East (Byzantine), and by the Russian Empire. Today, it is the official flag of the Ecumenical Patriarchate of the Orthodox Church.